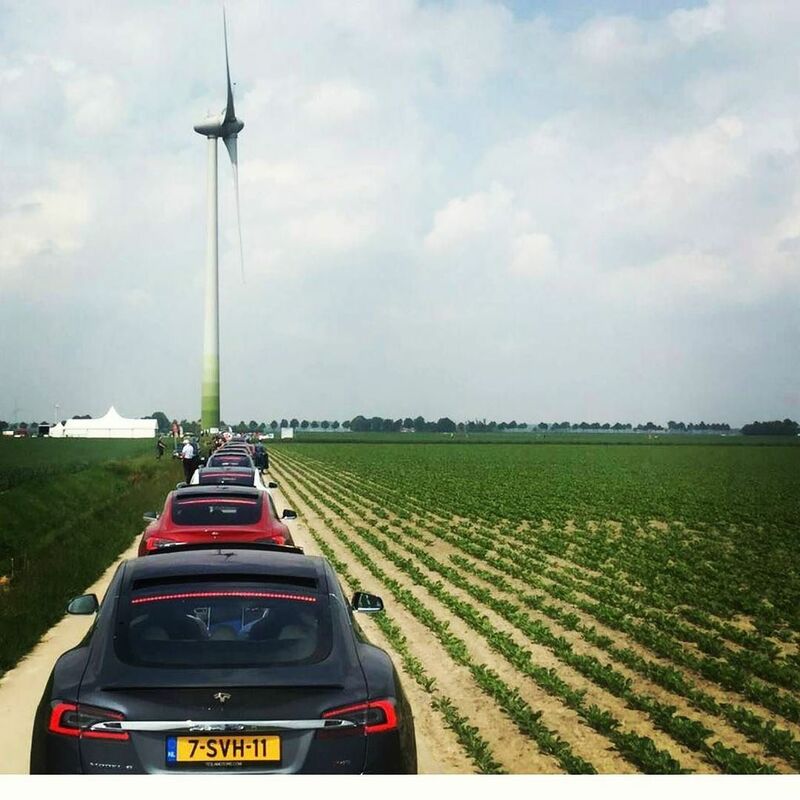 Dutch E-rally organisation held its third event last weekend in the Netherlands to promote e-mobility, with Tesla as one of the main sponsors. Unlike previous years, the 2016 E-rally consisted solely of Model S participants - 94 to be exact - as it is the only vehicle meeting the range criteria of 250 km or 155 miles. 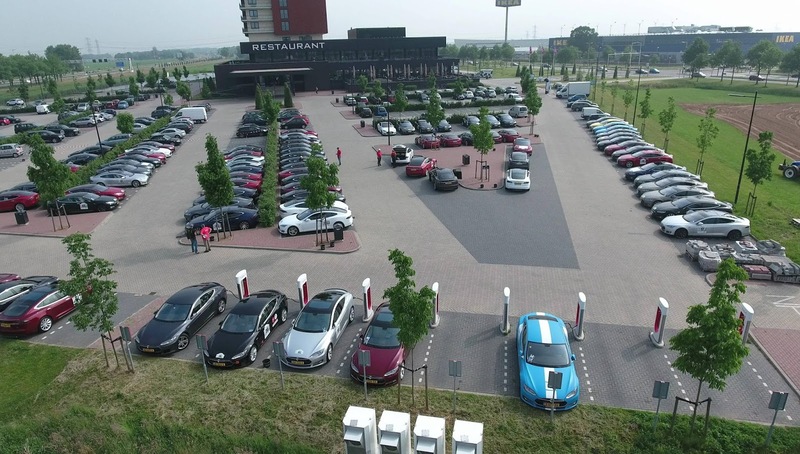 The start/finish line was in the city of Zwolle - where one of Tesla's Superchargers is located - and stretched on a touristic route all the way to Tesa's Store & Service in Amsterdam-Zuidoost. The race consisted of multiple courses and a performance challenge. 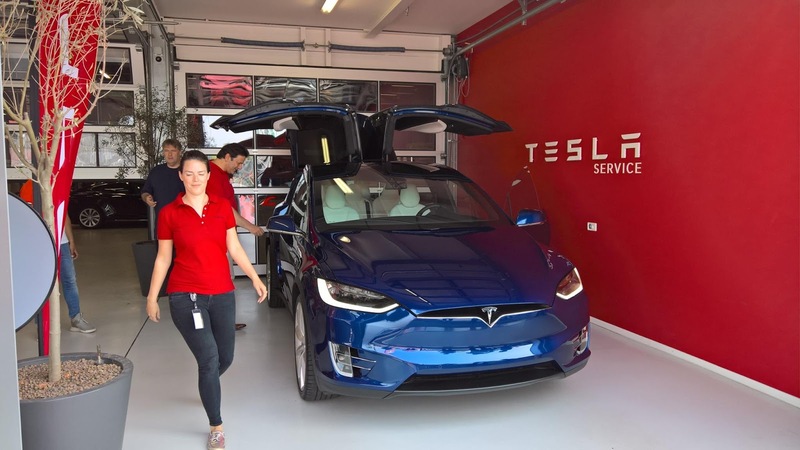 The participants were greeted at the Tesla Store with goodiebags where a Model X in shade of blue was on display on arrival. 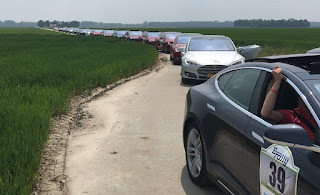 It's worth noting deliveries of Model X in Europe has not yet officially begun. 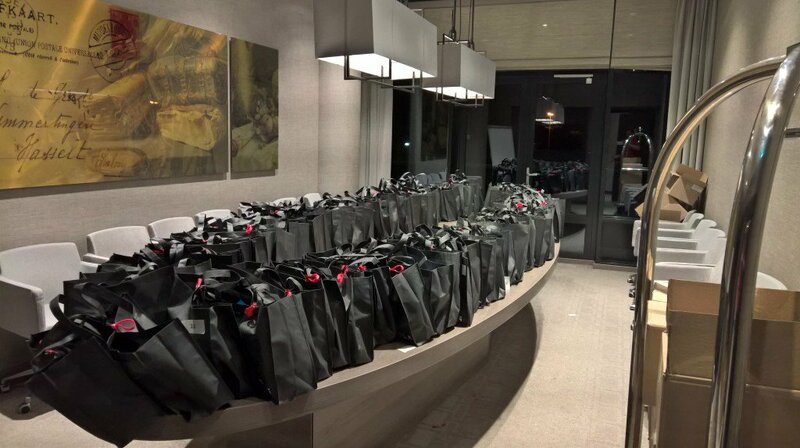 E-rally managed to collect 34,700 Euro ($38,000) worth of donations for charity organization Justdiggit where they will be invested in climate change projects in Morocco. 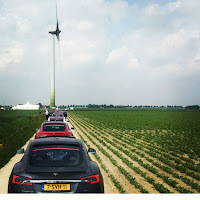 The 2015 edition had 225 electric vehicles driving a total of 42.800 km and emitting 0.0 g/km of CO2.